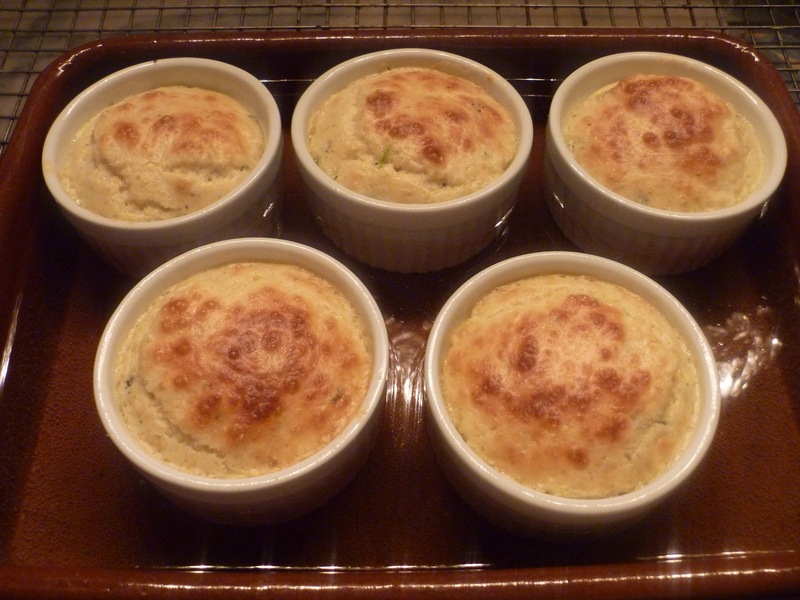 Every now and again I will dig out my ramekins and make souffles or puddings that get cooked in a water bath. Inevitably the instructions tell you to remove the ramekins immediately after you take them out of the oven. Getting these little porcelain pots out of hot water has always perplexed me: I used to use a flipper, but found this less than ideal, often splattering hot water onto what ever it as I had just baked in trying to manoeuvre the flipper under the ramekin, burnt fingers, ice cubs, cursing, it was a mess. 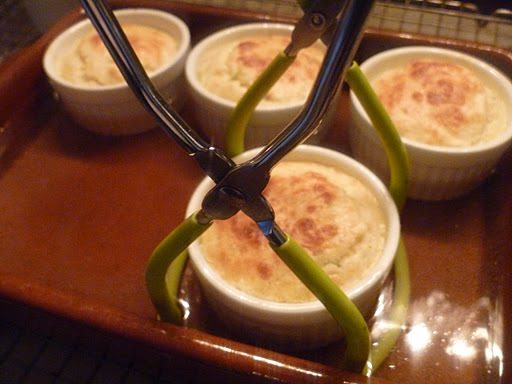 So the other day when I made Corn Pudding Souffles a light bulb went off in my head: try using your canning tongs to get these suckers out of the hot water bath! …and voila! It was so easy and drama free. 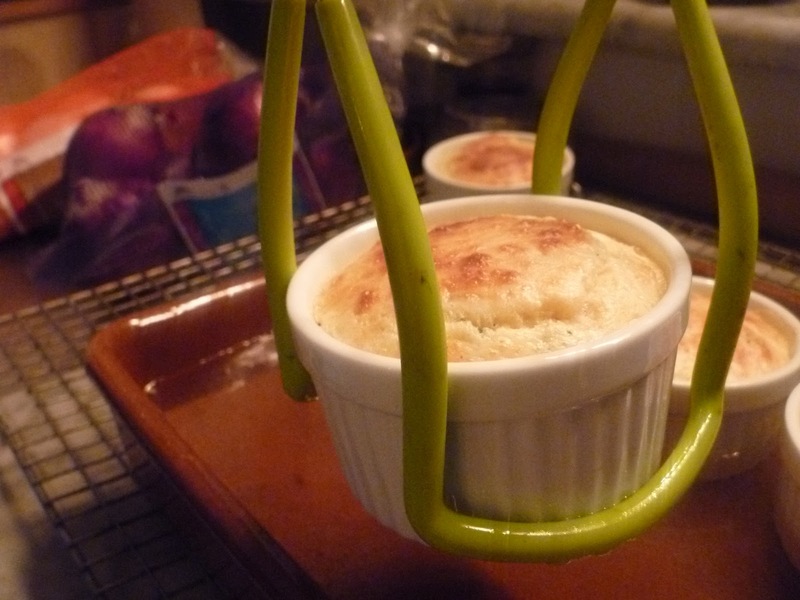 This entry was posted in Other Stuff, Recipes and tagged Canning Tongs, Corn Pudding Souffles. Bookmark the permalink.